Researchers Modify CRISPR/Cas9 System to Target Epigenetics and Reverse Diseases | What is Epigenetics? CRISPR/Cas9 is receiving a lot of buzz as a precise gene editing tool, but did you know it may also be an epigenome editing tool? Scientists from the Salk Institute used a modified CRISPR/Cas9 technique to alter gene activity rather than altering the actual underlying gene itself. They accomplished this in mouse models with disease-associated genes, treating several different diseases including kidney disease, muscular dystrophy, and type 1 diabetes. In 2014, What is Epigenetics covered the breakthrough of CRISPR/Cas9 and its exciting beginnings for genetic and even epigenetic editing, particularly editing DNA methylation using CRISPR/Cas9 and targeting chromatin modifications using Cas9. Read An Introduction to Understanding the CRISPR/Cas9 System, the technology that allows researchers to edit and influence gene expression. We also touched on the hype that arose surrounding this new technique as it gained attention from mainstream media, which spurred questions about whether we can use the CRISPR system to create superhuman designer babies and other ideas that resembled what you might read in a science fiction story. Many researchers and laypeople alike are fascinated with the ability of the CRISPR/Cas9 gene editing system to insert or remove genes in such a precise manner, as well as repair mutations that lead to disease. Using this system, the double-stranded DNA molecule is often cut, which could raise multiple issues depending on how the cell responds to that cut and how it may be repaired. Not without its imperfections, this technique can bring upon new mutations of which the side effects are uncertain. The revolutionary system for gene-editing called CRISPR has been created within the past couple years to exploit certain bacterial proteins that defend microbes against viral infection. The Belmonte lab in California, USA developed a modified technique using the CRISPR/Cas9 system and published their results in Cell. Their technique doesn’t cut the DNA; instead, it alters the phenotype of an animal by editing the epigenome and preserving DNA integrity. The main idea behind the Salk technique focuses on the use of two adeno-associated viruses (AAVs) which act to introduce their genetic manipulation machinery to cells in mice after they’re born. In one AAV virus, the group inserted the gene for the Cas9 enzyme. The other AAV virus was used to introduce a short single guide RNA (sgRNA), which indicates where Cas9 will precisely bind in the mouse genome, and a transcriptional activator. 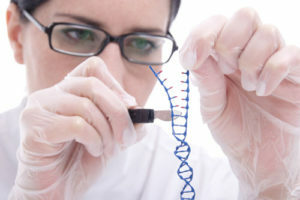 In order to prevent Cas9 from cutting the DNA, the researchers used shorter sgRNA, which were only 14 or 15 nucleotides rather than the typical 20 nucleotides utilized in standard CRISPR/Cas9 techniques. “Basically, we used the modified guide RNA to bring a transcriptional activator to work together with the Cas9 and delivered that complex to the region of the genome we were interested in,” said Hsin-Kai Liao, a member of the Belmonte laboratory and also the study’s co-first author. The complex described by Liao sits in the region of DNA of interest and increases the expression of a targeted gene. Techniques that are similar may be used to activate virtually any genetic pathway or specific gene without the possibility of creating harmful mutations. “We wanted to change the cell fate with therapeutic efficiency without a DNA cut,” explained Fumiyuki Hatanaka, co-first author. Ultimately, the group of researchers showed that diseases modeled in mice could be reversed using their technique. Their tool activated silenced or previously damaged genes in order to restore kidney function to normal. The team also created pancreatic-like cells to produce insulin by inducing the differentiation of liver cells. This helped to partially treat mice who modeled type 1 diabetes. This study was conducted in the lab of Salk Institute scientist Juan Carlos Izpisúa Belmonte. Image Credit: San Diego Union Tribune. In addition, the group demonstrated the ability of their CRISPR/Cas9 technique to recover muscle growth and function in mice modeling muscular dystrophy, a disease characterized by a gene mutation. Interestingly, as opposed to correcting the mutated gene, the team of scientists bolstered the expression of genes involved in the same pathway as the one with the mutation. This essentially overrode the impact of the damaged gene. The data suggest that the technique does not lead to undesired genetic mutations and is safe. Of course, the researchers plan on conducting future studies to make sure the technique is safe, efficient, and practical before they bring it to a clinical environment. This establishes new avenues for developing targeted epigenetic therapies against human diseases and it will be fascinating to follow the progression of this exciting new technology. Belmonte believes the technique could be used to potentially treat neurological disorders like Parkinson’s and Alzheimer’s disease. 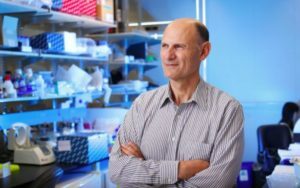 He envisions a future for rejuvenating groups of neurons – just as they restored muscle, kidney, and insulin-producing function in mice – and possibly even applying this new technology to human patients one day. Source: Liao, H. et al. (2017). In Vivo Target Gene Activation via CRISPR/Cas9-Mediated Trans -epigenetic Modulation. Cell, 171(7): 1495–1507.e15. Reference: Science Daily. CRISPR-Cas9 technique targeting epigenetics reverses disease in mice. Science News. 7 Dec 2017. Web.